By Chris Kenning | Courier Journal ~ An anti-gay bill in Uganda that drew global condemnation for proposing the death penalty for “aggravated homosexuality” remains a threat, a Ugandan gay-rights minister said in Louisville on Sunday. The bill, introduced in Uganda’s parliament in 2009 and widely criticized by human rights groups, would have made engaging in homosexual acts a capital offense and threatened jail for anyone who fails to report a gay person. While Uganda’s parliament adjourned last month without acting on it, the Rev. Mark Kiyimba, who heads the Kampala Uganda Unitarian Universalist Church, said it may be resubmitted. He urged the congregation to contact congressmen and others to press Uganda to halt the anti-homosexuality efforts. Homosexuality is illegal in many countries in Africa, including sub-Saharan Uganda, where gay acts are punishable by 14 years to life in prison. 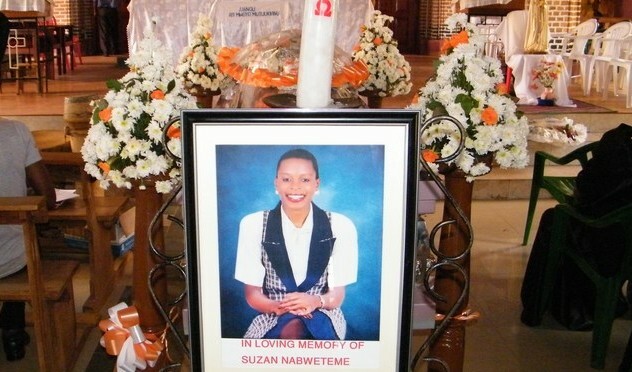 Gay and lesbian Ugandans often are ostracized and subjected to violence. Kiyimba’s place in fighting those attitudes goes back to the founding of his church in Kampala, the capital of Uganda, in 2004 as a rare haven of acceptance for people of all sexual orientations. Today it operates a 550-student primary school, where 75 percent of students are orphans of AIDS victims. He said Uganda’s proposed legislation was inspired by American evangelical Christians, who painted homosexuality as a threat despite the real problems of AIDS, malaria and poverty facing the country. So far, that has included becoming an outspoken critic, holding petition drives to stop the bill and visiting the U.S. to raise awareness. Despite the parliament’s lack of action this spring, he said being gay in Uganda is still dangerous. In 2009, a Ugandan newspaper published lists of gay and lesbian residents, along with their photos, addresses and suggestions of violence. Earlier this year, one of the country’s gay activists was beaten to death with a hammer. U.S. diplomatic cables, published by Wiki Leaks, have decried the county’s violent homophobia. It’s gotten so bad, Kiyimba said, his church opened a “safe house” for gay children fleeing their parents or schools. “It’s what life is like for gay people” in Uganda, Kiyimba said.